ZHUHAI, CHINA: China unveiled on Tuesday a replica of its first permanently crewed space station, which would replace the international community´s orbiting laboratory and symbolises the country´s major ambitions beyond Earth. 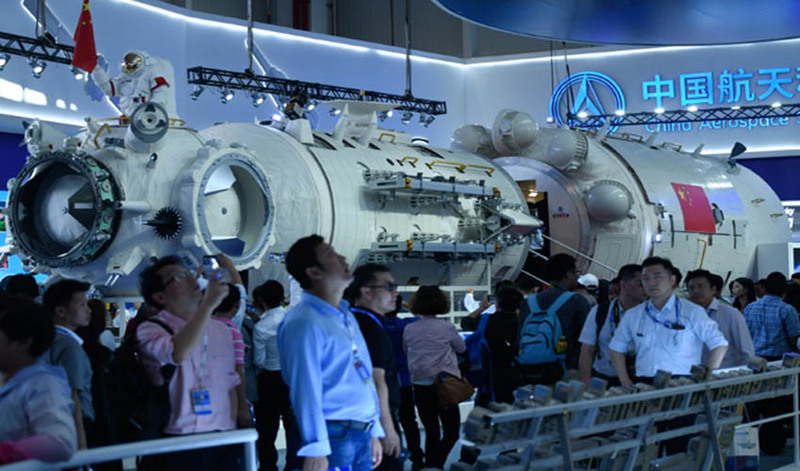 The 17-metre (55-foot) core module was a star attraction at the biennial Airshow China in the southern coastal city of Zhuhai, the country´s main aerospace industry exhibition. The model represented the living and working space of the Tiangong — or "Heavenly Palace" — which will also have two other modules for scientific experiments and will be equipped with solar panels. The country announced in May that the lab would be open to "all countries" to conduct science experiments. Research institutes, universities, and public and private companies have been invited to propose projects. It has received 40 plans from 27 countries and regions, according to state media. China is pouring billions into its military-run space programme, with plans to send humans to the Moon in the near future. A second lab, the Tiangong-2, was launched into orbit in 2016.